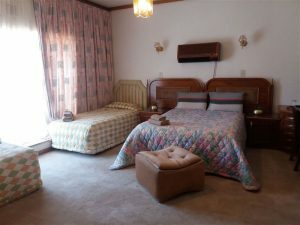 We have 7 rooms which are a popular choice for families, contractors, groups, and long stay guests. 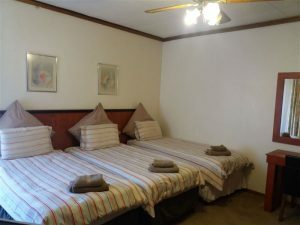 These rooms are more spacious and can sleep up to 4 guests per room. 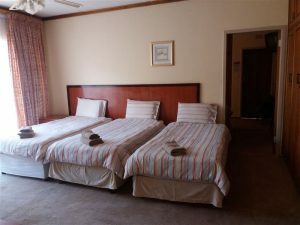 Bed setup in each room varies according to guest’s requirements. Some have 3 single beds per room, others have a double bed and 1 single bed per room. Some parents request a mattress bed on the floor for their young kids. Photos of rooms as per below. Breakfast is optional at R50 per person. Dinner is optional at between R50 and R85 per person. All guests are welcome to use our kitchen and dining area if you would like to prepare your own meals.